Mark Zuckerberg has agreed to meet senior members of the European Parliament to discuss Facebook's use of personal data. Antonio Tajani, the parliament's president, said in a statement that the Facebook (FB) CEO would travel to Brussels to meet representatives of the parliament "hopefully" as soon as next week. "I welcome Mark Zuckerberg's decision to appear in person before the representatives of 500 million Europeans. It is a step in the right direction towards restoring confidence," Tajani said in the statement posted on his official Twitter account. Facebook confirmed it had accepted the invitation. "[We] appreciate the opportunity for dialogue, to listen to their views and show the steps we are taking to better protect people's privacy," the company said in a statement. Tajani said Zuckerberg had agreed to meet members of the European Parliament that lead its political groups, as well as lawmakers from its justice committee. Separately, the parliament will organize a series of committee hearings with Facebook and other tech companies. Zuckerberg is not expected to attend those, a European Parliament spokesperson said. Facebook has been under scrutiny on both sides of the Atlantic in the aftermath of the Cambridge Analytica data scandal. 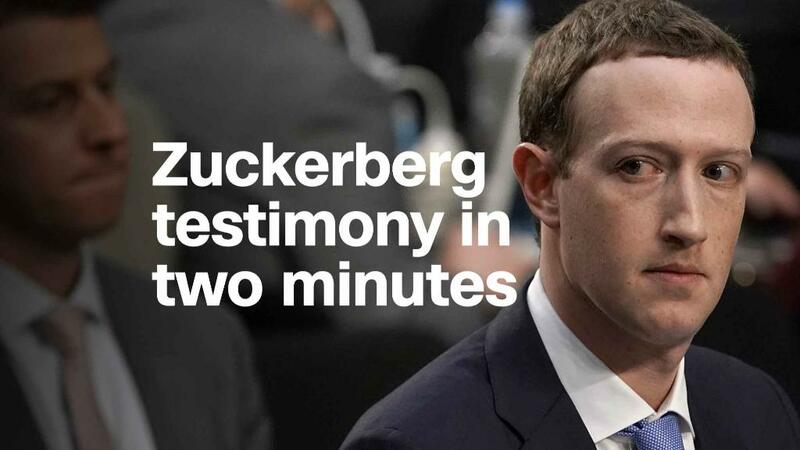 Zuckerberg testified before the US House of Representatives and the Senate in April. Facebook said Cambridge Analytica, a data firm connected to President Donald Trump's campaign, had access to information on about 87 million Facebook users without their knowledge. Around 2.7 million of these users were European residents, according to the European Commission. The timing of Zuckerberg's visit may coincide with the introduction of Europe's new sweeping data protection laws on May 25. The General Data Protection Regulation (GDPR) requires companies to give European citizens greater control over their personal data. The UK parliament has also invited the Facebook CEO to answer questions. Its media committee even threatened to issue an official summons when Zuckerberg next enters the country, but he's still refusing to attend. Rebecca Stimson, the head of policy for Facebook UK, told the committee in a letter on Monday that Zuckerberg "has no plans to meet with the committee or travel to the UK at the present time." -- Dylan Byers contributed reporting.